You sleep best when your bed helps you feel comfortable, cozy and secure. 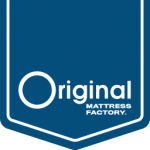 In order to find the best mattress for you, you need to choose the right level of firmness. We recommend that you lie down on the mattress you like best for at least 15 minutes to ensure that it’s right for you. Don't be afraid to lay there until you feel you have a good idea if it will work for you. Your comfort is what is most important, we promise we don't mind at all! Comfort refers to the “feel” of the mattress set or how hard or soft it is. It's derived from a combination of the upholstery materials and the support system of the mattress. Something to keep in mind is if the innersprings are the same, a mattress with harder padding materials is not better or more supportive than a mattress with plusher, softer padding materials. They can both be supportive; it just depends on which you like better. In order to test each mattress, try lying down in your typical sleeping positions. Arrange yourself in your favorite sleeping position and stay there for a bit. Side sleepers usually prefer thicker and softer padding than back sleepers as it contours better to your shoulders and hips. Softer mattresses mean thicker, higher mattresses. So make sure that the bed is not too high for you to get in and out of comfortably. Also, check to see if a thicker mattress will cover up too much of your headboard. You may want to consider a low profile box spring to decrease the total height of your mattress set. Many of the sheets available will fit today’s thicker mattresses, but you may need deep pocket or high contour sheets for some of the extra deep models. Box springs are slightly smaller than the mattress. This slight size differential is normal and is mainly due to the additional layers of upholstery in a mattress. If more than one person is sleeping in the bed, we strongly recommend a Queen or King size. Both are wider and longer than the standard double or Full size bed. The padding or upholstery layers of a mattress are composed of cotton, fiber or foam. These layers insulate the body from the innerspring unit and allow for the creation of different comfort by adding varying amounts and/or types of padding. 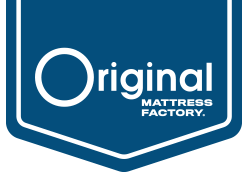 Upholstery materials, combined with the innerspring and box spring support system, are largely responsible for the “feel” or “comfort” of a mattress. Cotton is one of the finest upholstery materials available for use in a mattress. It's an excellent insulator against coil feel. Cotton also helps the mattress maintain a more consistent feel as it firms up slightly over time, offsetting the softening characteristics of foam. Cotton is also breathable, a sustainable resource and a natural fiber.